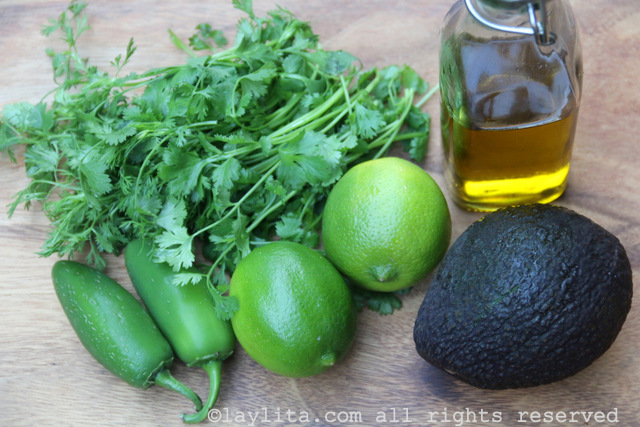 This recipe for a homemade creamy avocado salad dressing is made with ripe avocado, cilantro leaves, lime juice, olive oil, and hot peppers for a spicy version or green bell pepper for a non-spicy variation. 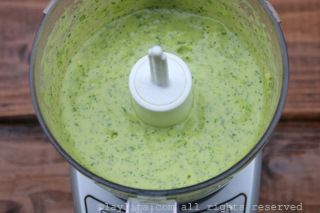 This easy avocado salad dressing can be made in the blender or in a small food processor. 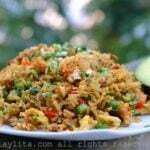 It can be made ahead of time and refrigerated until ready to use. 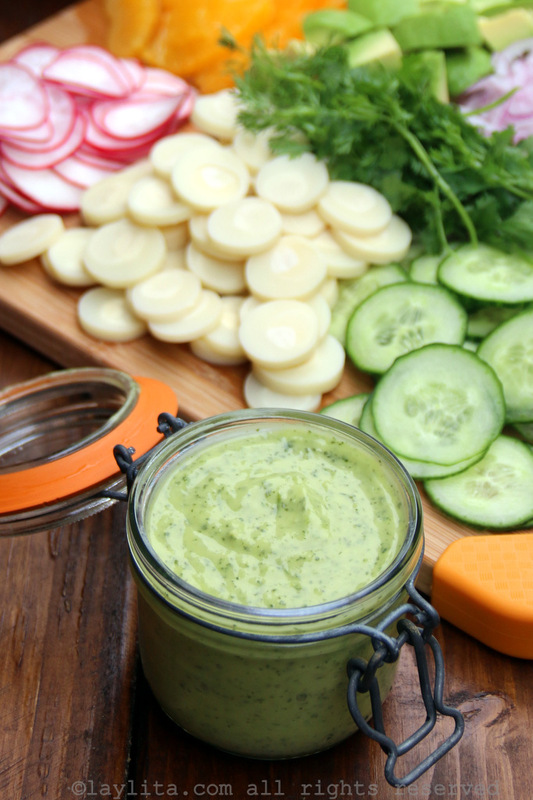 It works as a great dressing for salads with crunchy veggies (carrots/radishes/cucumbers/jicama) and also for salads with shrimp or chicken. 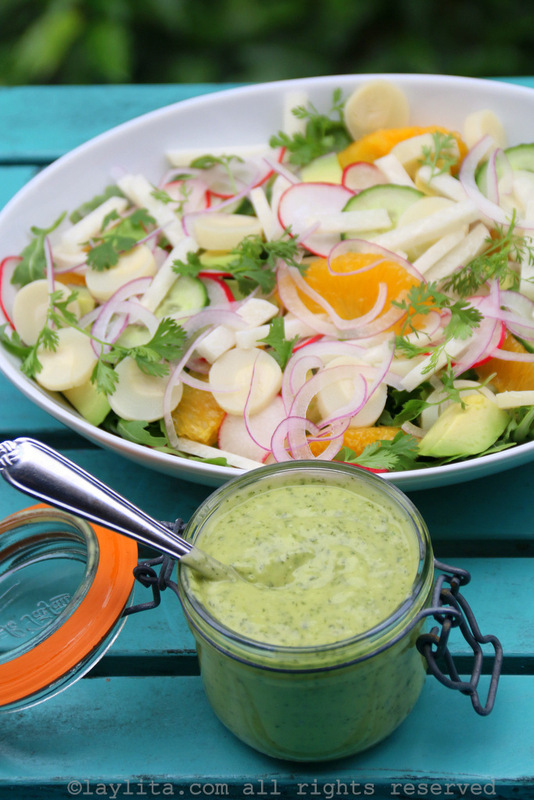 I’ve also used this creamy avocado dressing as alternative to mayonnaise for pasta salads or potato salads – try it in this ensalada rusa potato salad. 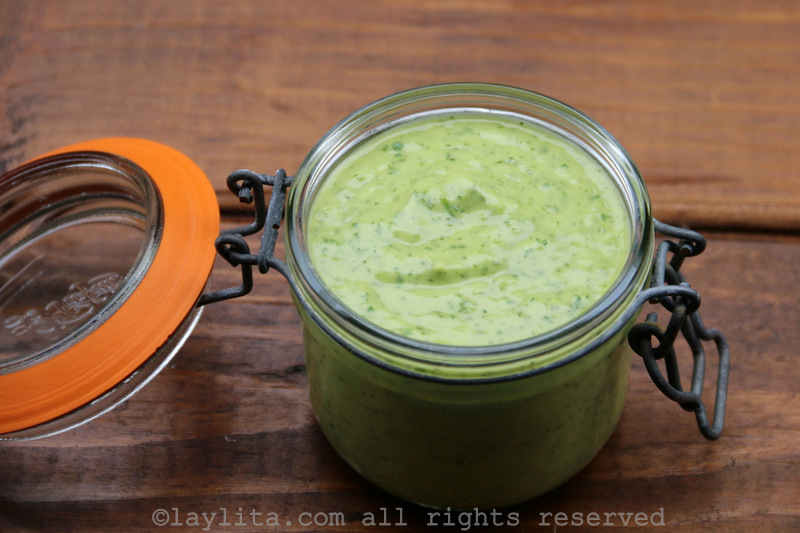 It can also be used as a spread for sandwiches, a topping for tacos, or even as a quick avocado dipping sauce for chips. 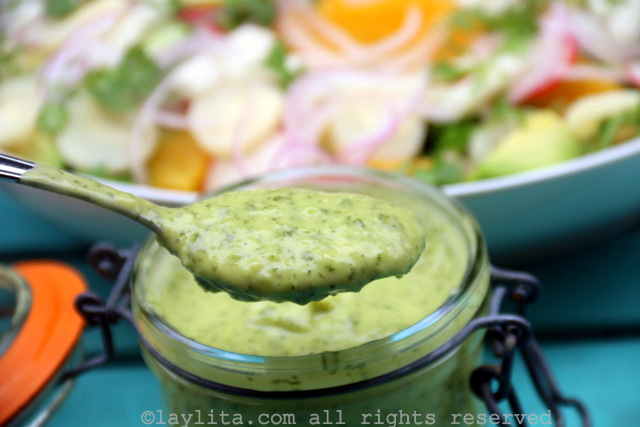 Creamy avocado salad dressing made with ripe avocado, cilantro, lime, olive oil, and hot peppers for a spicy version or green bell pepper for a non-spicy variation. 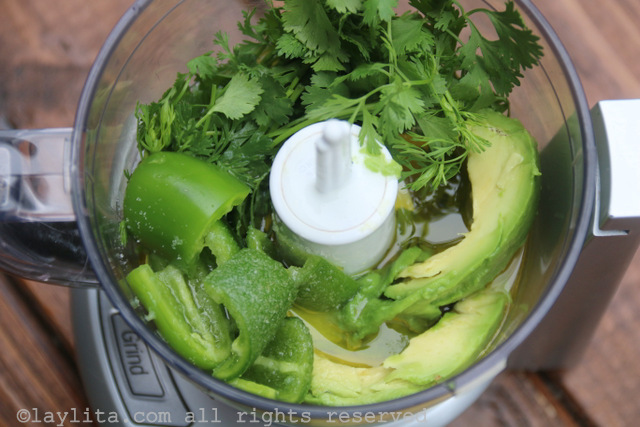 Place all the ingredients for the creamy avocado dressing in a small food processor or blender. 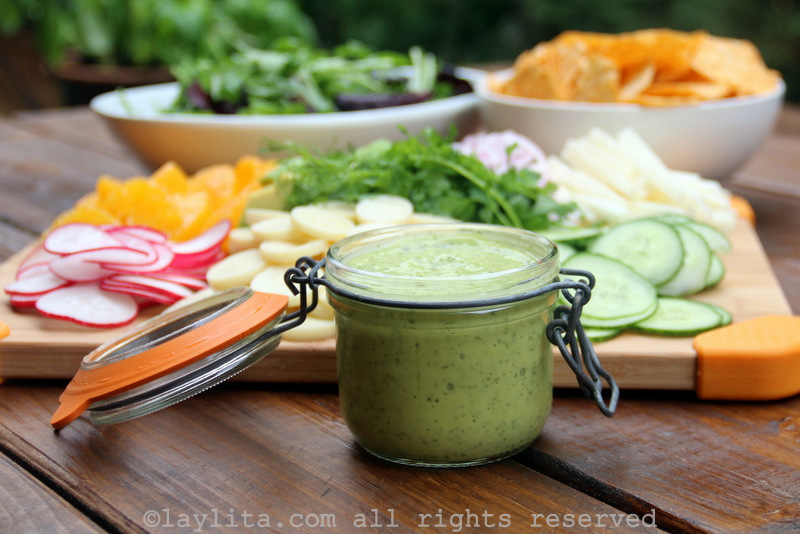 Blend until the ingredients are well combined and you have a smooth dressing, taste and adjust the amount of salt/lime based on your preference. 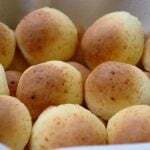 Save refrigerated until ready to use.